QUESTION: North Korea needs food. I believe we negotiated the Russian wheat deal in 1973. Would waving the prospect of food turn the North Koreans away from war. The condition would be that they deactivate their H bombs. ANSWER: What I tried to explain is Kim Jung Un’s perspective. One thing my father taught me is NEVER judge people by your own thinking. Always try to understand their point of view for only then will you understand their next move. My father was a colonel with General Patton. Indeed, Patton read a book on tactical warfare written by Rommel. Understanding how he would react allowed Patton to defeat him. It was not about trying to come up with a better strategy. It was to anticipate what he would do and neutralize it. What you may think or do never really matters. Kim is a dictator and he ONLY wants to maintain power through oppression and fear. If he appears weak, then those within his elite would overthrow him. He diverts food to the military and allows people to starve. This is why people join the military there to get food. He can grow food without land or the sun. There is clearly an alternative. He can also power what he needs using nuclear power generators. Therefore, sanctions are not going to work. Their only objective is to make life so bad for the people that they would overthrow him. As long as his army stays loyal to him, sanctions will be a joke and may simply lead to mass starvation of the people, not him or his army. Kim simply views the USA as the aggressor. I believe that Iraq was the dream of Cheney (not Bush) and that was to get oil so he put his buddies in charge. Saddam had nothing to do with 911 so why invade Iraq? 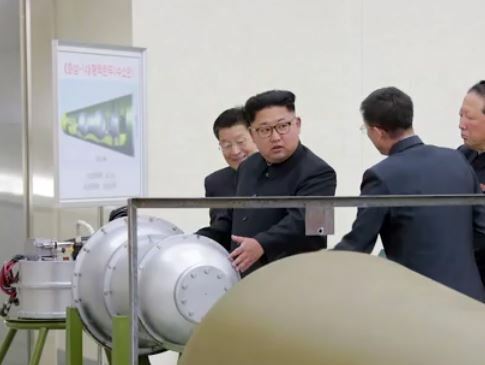 There never were weapons of mass destruction and it has been obvious for the past 20 years that North Korea has been pursuing nuclear weapons. Why did we not invade them instead of Iraq? (2) it was an seen that Russia and China were its allies. So we cannot judge Kim based upon logic and what we would do if in his place. Unless you are a dictator clinging to power by force, you cannot judge him by anyone else’s standards. What if Kin fails? He knows he will probably be killed. So this is a desperate power-play that other nations would not be driven to for we do not have something to prove. Putin has suddenly realized that negotiations are not an option. So we invade or sit on our hands and hope for the best. An invasion would ONLY work with China and Russia. The USA cannot invade North Korea with China opposed. « The Insanity in Korea – But Is it Logical?